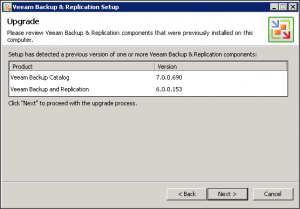 The upgrade path from Veeam Backup & Replication 6.x to the new version 7 is almost simple and fast: basically you have to upgrade first the Backup Enterprise Manager and then the Backup & Replication part, and finally apply the patch to bring it at the Backup & Replication 7.0 R2 release. 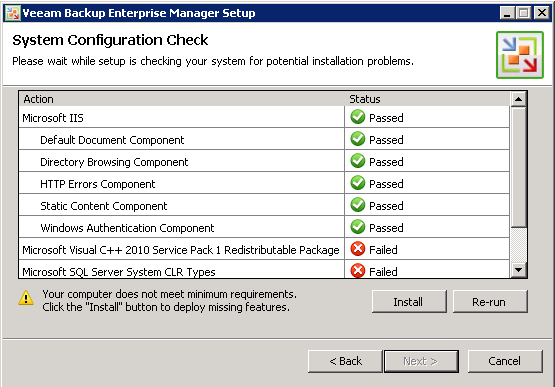 The entire upgrade procedure is almost fast and usually can take around 30 min for a simple install with only one single system. Of course before doing the upgrade you need to verify the license file (you need a new one for version 7.x, but it’s easy check inside the txt file if the version is correct) and the hardware and software compatibility list (for more informations see the system requirements for the Hyper-V or vSphere edition). Note that there is an issue un the upgrade procedure. 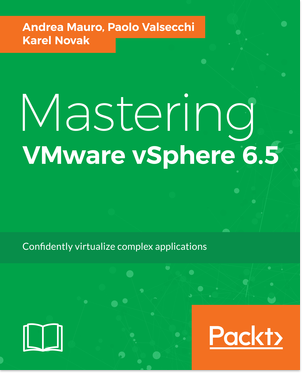 If you have installed the 6.x version with an user different from Administrator, you will have this problem: when you use “Configuration Backup” an error message appear “Error Value cannot be null. Parameter name: itemName”. Same error could appear if you have empty fields in SMTP settings, but in this case the solution is simple. For more information see the relative thread in the community. First step is upgrade the Backup Enterprise Manager (if is used). 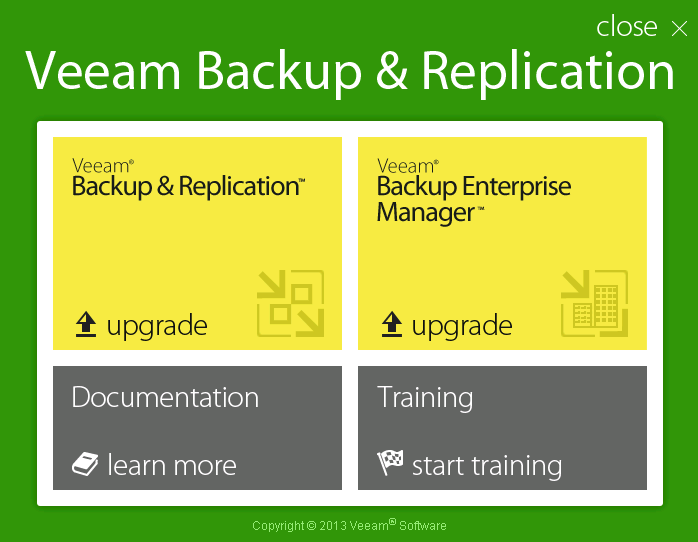 Note that you will warn of this dependency if you try to start an upgrade of the Backup & Replication part. 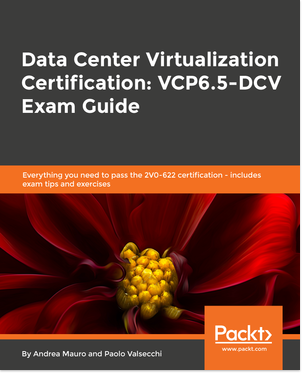 Now you have to give the license file (the same for Backup & Replication), that is mandatory (but note that you can use also a trial license). 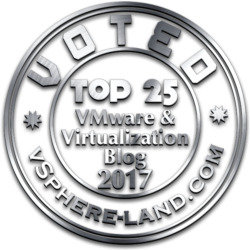 If some features has been added, a reboot is required, but after it, then the wizard will be restarted automatically in the right point. Now you can choose the service account credentials, then the SQL Server instance (note that the database will be upgraded) and finally the installation will be start. When is completed, you have only to click on Finish (next will be in grey, but is a correct behavior). 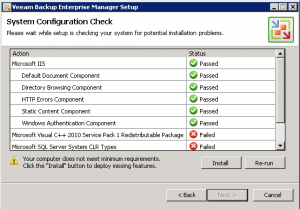 Again the license file is mandatory and there will be a system configuration check, that will pass if was already performed in the previous step. You have to choose the service account credentials and select the SQL Server instance (again the database will be upgraded). At this point the installation could start. You probably have to reboot your system. After that, you can run the Backup & Replication Console and accept the upgrade of the various compoments (basically the proxy). Remember also to upgrage (if used) all the AIR compoments (now included in the DVD ISO). 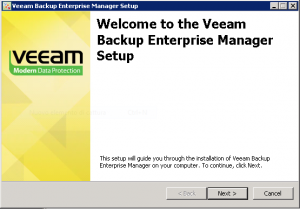 Check that no job is running, then, temporally stop all Backup & Replication services (just click on stop in the service manager). At this point you can apply the Veeam Backup & Replication R2 patch. 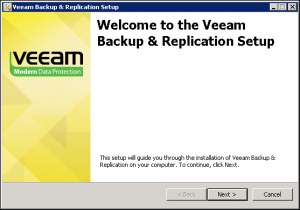 A reboot usually is not needed, but could be a right test and a simple way to re-enable all the services. 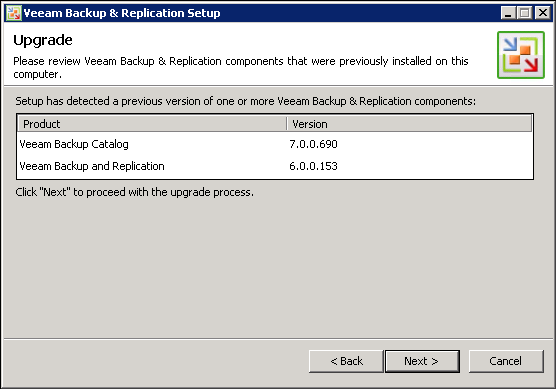 After that, you can run the Backup & Replication Console and accept the upgrade of the various compoments (basically the proxy). 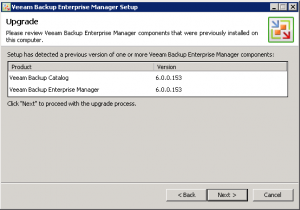 For more information about the upgrade procedure see also: Veeam Upgrade from version 6.5 to 7.